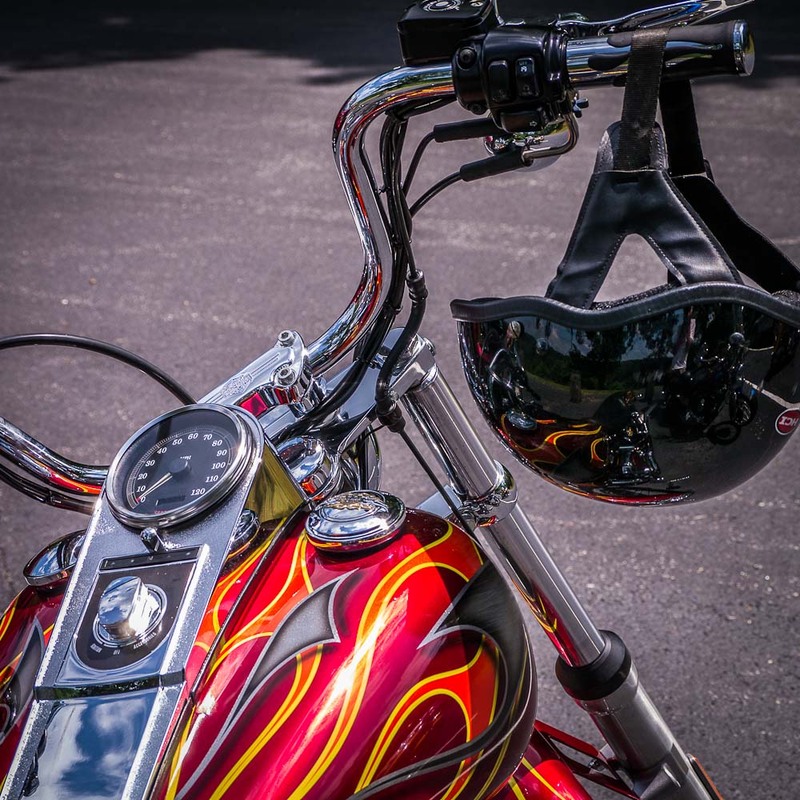 I have never actually “moved” on a motorcycle, but I have been on the seat…pretending. 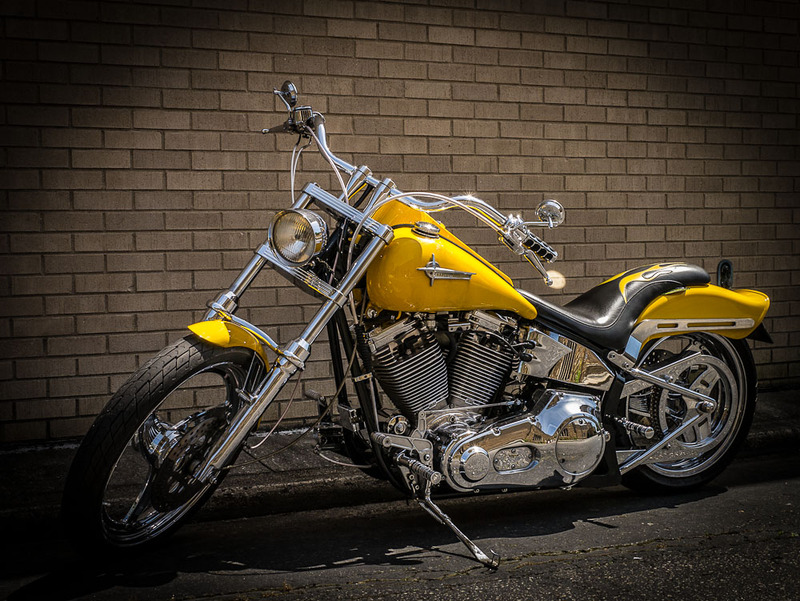 I’m sure the thrill of riding a motorcycle (especially a Harley) is one of life’s greatest things…but it’s a long way from that as far as I am concerned. 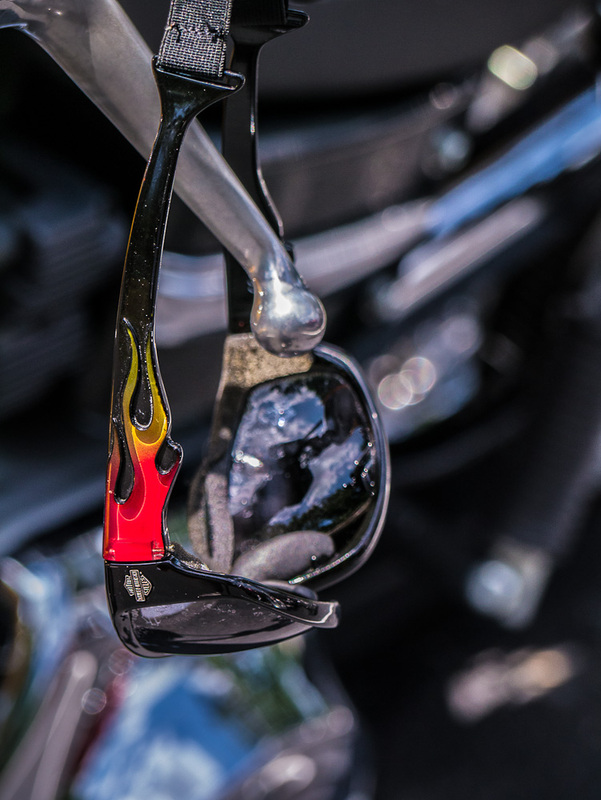 I’ll stick to making photos of the bikes and equipment…helmets and goggles…shiny and colorful as they are. Fantastic! Tommy brought his Harley here to the Barn, but he won’t take it out of the bed of the truck until he gets to Fargo next Monday. We plan to rent another bike when I go up there — probably mid- to late-August — and drive and drive and drive. It is quite the experience, even if I am most comfortable at barely cruising speed. I don’t need to go 75 on the highway; 45 on a country road is what I like.